In celebration of some more british sporting success over the weekend I thought I'd share this quilt that I made about three years ago with you. 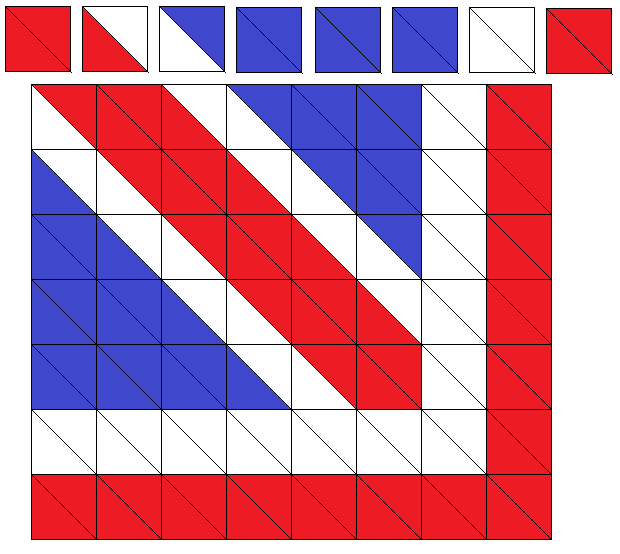 The Union Flag Quilt is the first quilt I ever designed. In fact it is the first quilt I ever made! I have broken down the steps of how I put together the quilt top. First you need to gather your fabric, you need several different fabrics in each of the three colours: red, white and blue. These can be patterned fabric, in fact its better if they are, just be obviously mainly the right colour. A good way to buy this is in fat quarters so you have a range of fabrics in each colour section, but I have also used a few scraps I had left over in the right colours. Using a rotary cutter and quilters ruler cut 146 white triangles, 208 red triangles and 128 blue triangles. I cut 20cm squares from my fabric and then cut these into 8 triangles as you can see on the left. I then stitched together the triangles to form the right number of squares and pressed the seems to one side. The total number at the bottom is how many to sew of each colour way, the first number in the sum is how many of each colour way you need for a quarter of the quilt. and then I pressed the seems to one side and then stitched together these rows and pressed the seems to one side. This completed a quarter of the quilt and finally I stitched together the quarters. Then I quilted and bound it, but ill talk more about these parts of quiltmaking another time. 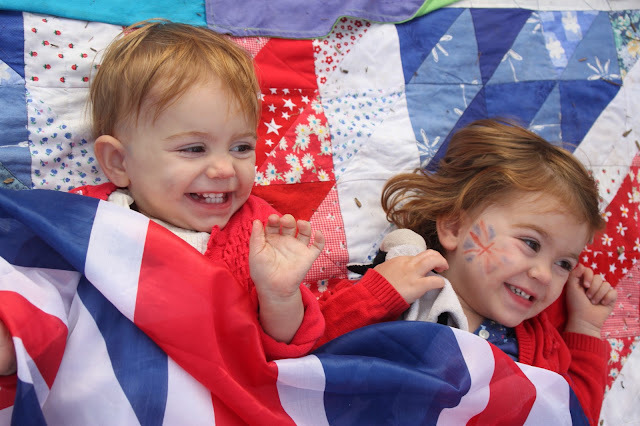 It's a very pretty quilt and your kids are cute as buttons! That's a great idea to have a quilt that you can wave as a sign of support, Altho, here in the states it might not go over so well...Proper use of The Stars and Stripes?! lol. 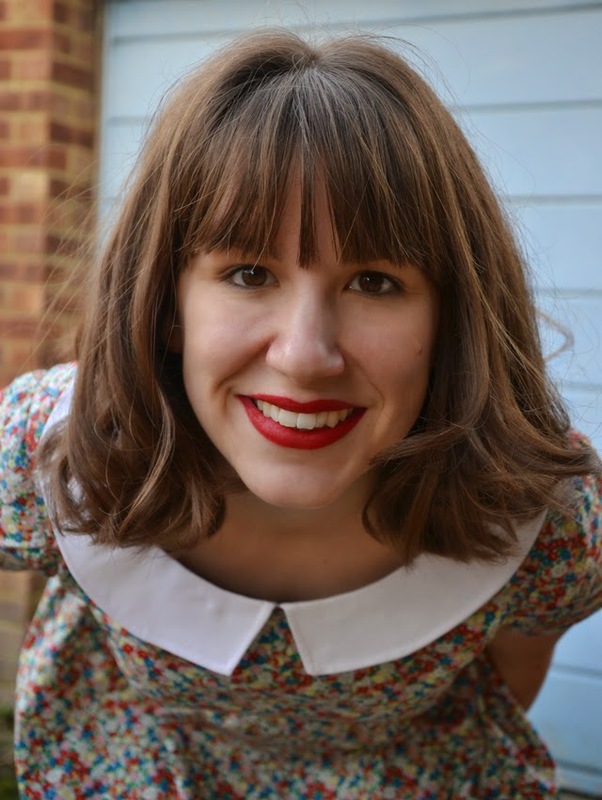 Happy Holidays, Claire W.
Wow! I love your quilt! I also appreciate that you posted the pattern...I want one too! I think your quilt is wonderful! More kudos to you for your excellent instructions on how to make the quilt. Unfortunately making a U.S. flag would as a quit would be considered quite improper. We take our flag very seriously (even displaying it upside down is a sign of dire distress). While some people would accept the idea -- Many Americans would see it as a serious breach of protocol.